When it comes to finding high quality, and very well made fan material from and inspired by the Zelda series, Etsy.com has always made for the perfect place to go and find such items. Recently, a new piece of fan material has been posted over there, and it’s no exception to this reputation of excellency. 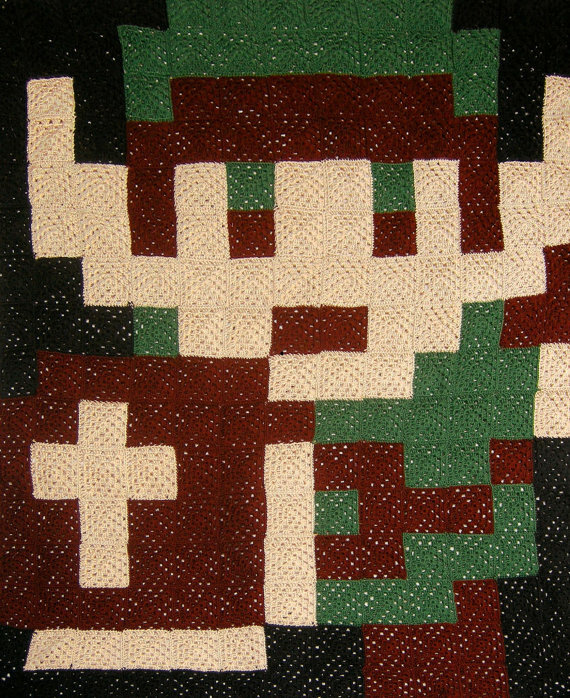 The item, which is a very well made blanket featuring the 8-bit style Link with a black background, was created and is being sold in the shop NikisKnerdyKnitting. While the quilt is being sold at a pretty expensive price of $312.00, it’s an incredible make and definitely worth checking out. You can find the listing for it on Etsy here, or make the jump for some photos and more information. The owner and creator of the shop on Etsy says that all of her items are one of a kind and that she rarely ever uses the same pattern and yarn more than once, as well as stating that knitting is not just a craft, but an art. With the creations over on her store, I have to say that I believe her when it comes to making art! 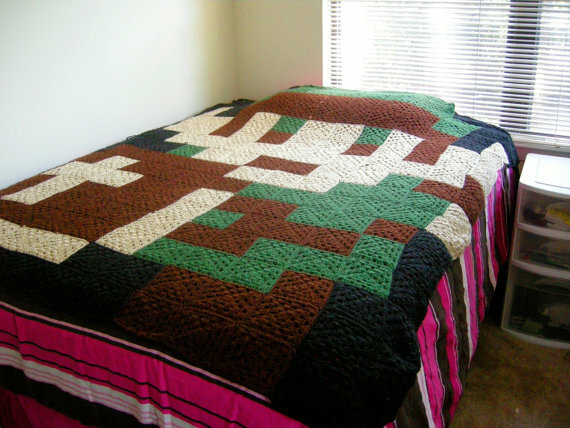 Not only is the 8-bit Link blanket amazing, but many of her other creations feature very creative designs and turned out really well. 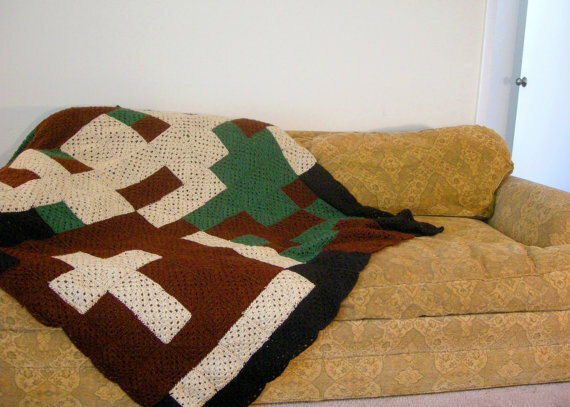 The description of the 8-bit Link blanket says that the quilt is made from approximately 208 pixels and is mainly made using acrylic yarn, which provides for a soft, warm, and wool like feel. The yarn used seems like a great choice for the blanket and overall, it’s a very stunning, fan made creation! But now that you’ve seen the blanket and have been provided with some basic information, what do you think of it? Do you think any major changes should have been made? What do you like about it? Share your thoughts by leaving us a comment below!